how it can help olpcMAP. (Wikimedia) was very interested in the possibility when we talked. 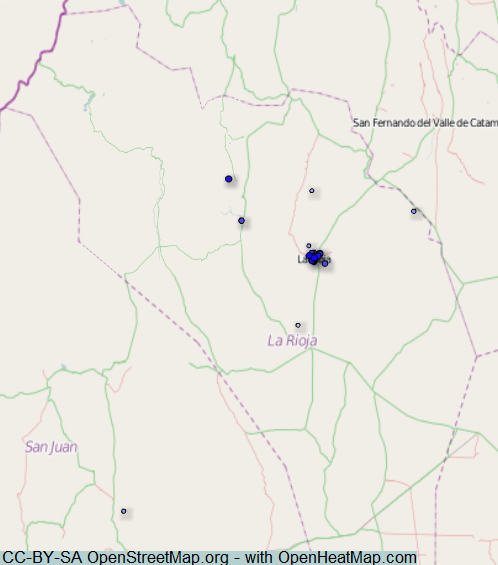 Summary: As part of my Plan Ceibal work, I have significantly updated the OfflineMap activity. Built-in maps library, compatibility with Google Earth files, measuring tool, extensions for users with internet connections, and other features and improvements. I’ll upload it when I get home. Nick finally flew back to his homeland after two months of working for Plan Ceibal. 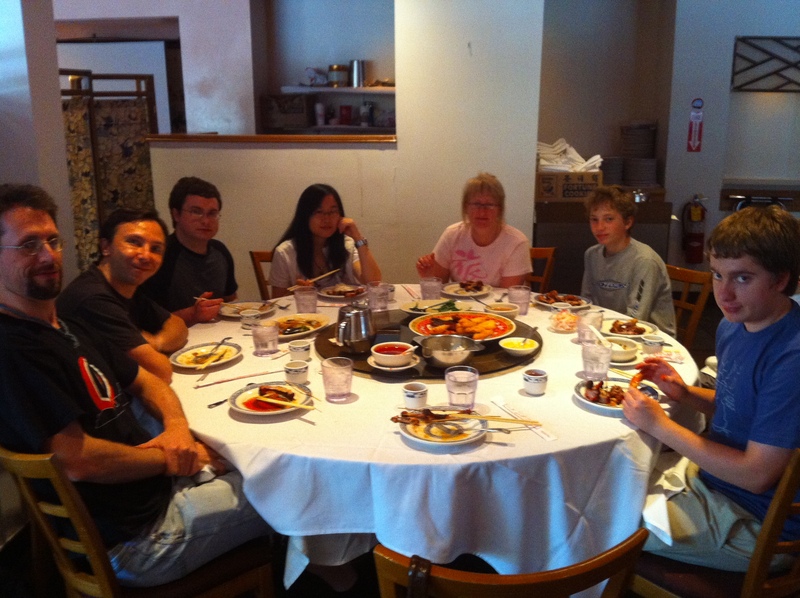 We (OLPC family and blood related family) met at Royal East in Cambridge to celebrate his return. After just one week at home he will move on to bigger places and things. He will do an internship in ESRI, then possibly Facebook in the fall and starting Jan 2012 he will participate in Code for America fellowship program. He said:” This is exactly the opportunity I’ve been looking for – one that combines civil engineering with technical, computer-sciencey stuff. I don’t know which city I will be working for, but much of next year I will be at the program’s office in San Francisco”. OLPC Foundation (Boston office) has moved to its new office in Cambridge. Happy Memorial Day weekend to all! The map activity: Hola mapmakers! – Collaborate with other XOs on the same mesh/Jabber network. Collaboration shares the view, markers, and other map data. So several users can add points and edit each other’s descriptions. If one user visits the map library or imports a Google Earth points map, the points are shared with any connected laptops. Same thing for OfflineMap and mesh networks. We have a few XO-1.5s going to a school in the Congo this summer, and they are absolutely psyched about mapping! From the Summit: We’re at the Uruguay summit now, about to have Adam say a few words about olpcMAP along with other communities’ favorite web tools. Etherpad is popular in South America. Kindles. They also have many teachers using the Intel Classmate laptops to view music and video. I don’t think there’s as much support for the XOs except that they are cheaper when you are giving them to all students. New feature: For any future Jams, people can indicate if they are participating, like they did for eduJAM Summit: Go to http://olpcMAP.net/jam, use the search, open your marker, and select “Join Jam” (next to edit). We also have a page at http://olpcMAP.net/jam/es that’s in Spanish. Translation is welcomed. Disclaimer: this is (a) experimental and (b) totally unofficial – not sponsored by ceibalJAM or Plan Ceibal. During the week we made some progress in the organization of the summit in Montevideo, Uruguay. The name of the event is eduJAM! 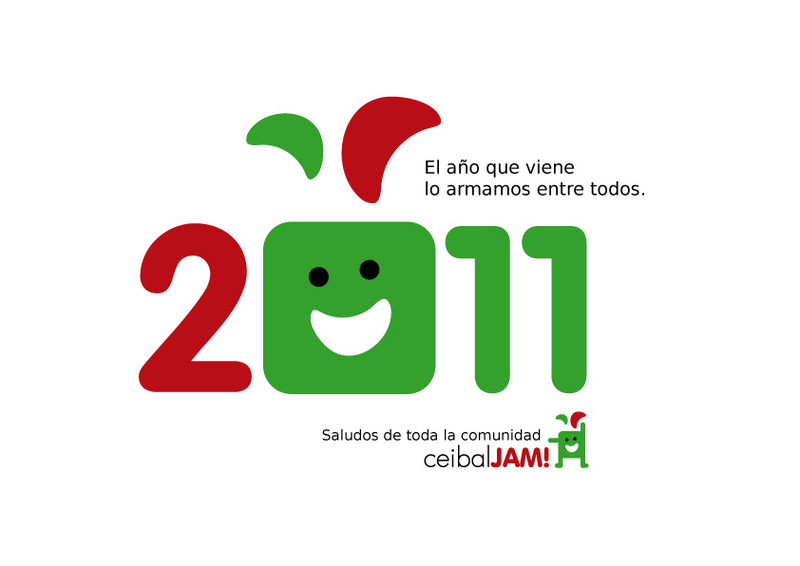 2011 and will take place from Thu May 5 to Sat May 7. Please see the attached file for logo and graphic identity. 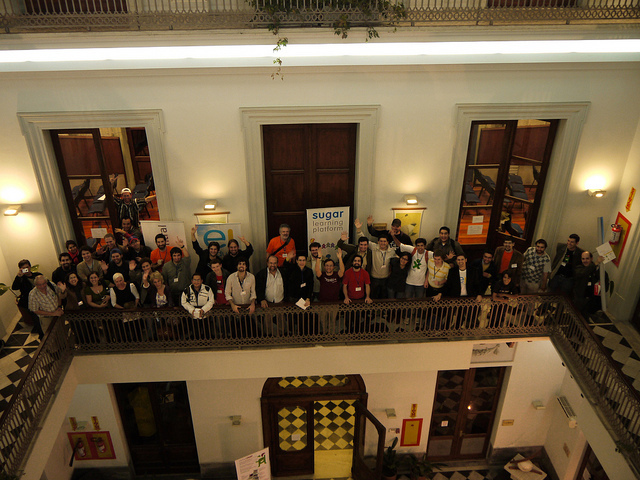 The summit main objective is to strengthen the free educational software developers community, with focus on Latin America and the Sugar and olpc communities. The event will feature discussions around future directions and strategy, hacking on specific projects, and exchange of experiences among different deployments. There is a Program Committee with the following members: Andrés Ambrois, Walter Bender, Gabriel Eirea, Pablo Flores, Gonzalo Odiard and Fernando Sansberro. This committee will define the summit program but of course input from the community is encouraged and appreciated. Registration to the event will be required but we are not ready to announce the details yet. In addition to eduJAM! a couple of extra activities are being planned to make the most of the summit. We are also proposing a Sugar code sprint for Sunday May 8, right after the summit. There is a first sponsorship from Activity Central and we are looking for other sponsors both at the national and international level. We hope you can join us and are looking forward to your comments and suggestions.